Buy the Farm . . . Share: Rock Me, Amadeus! Today began, like most, with a doctor's appointment. This makes me extra glad that Jen switched to the doctor five minutes away. It makes it easy to access and maintain my mayorship on foursquare. As soon as I got home I put out some bread and cheese. 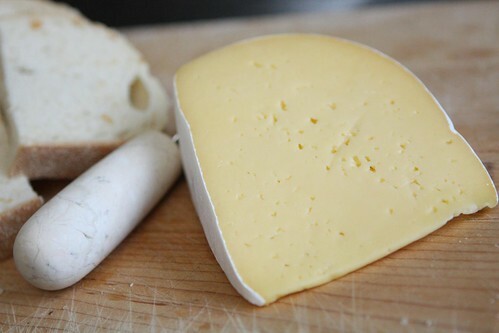 For cheese I selected this Amadeus cheese from Austria. I got it for a few reasons. Firstly, it was on sale. Secondly, it looked pretty tasty. Thirdly, it gave me a reason to sing, "Oooooh, rock me, Amadeus!" during dinner. Jen appreciated the first two reasons. Not so much with the last reason. 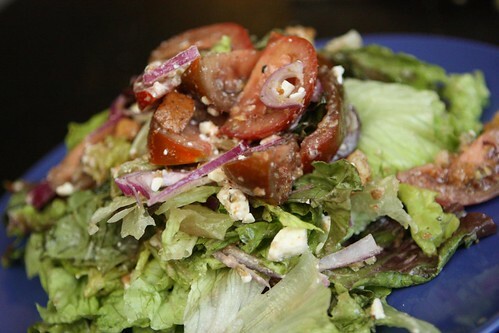 I made this salad with Kumato tomatoes, red leaf lettuce, croutons, feta cheese, and red onions. It had a lot of promise but, unfortunately, the lettuce was kind of gross. Every so often you get a batch of lettuce that sort of tastes like dirt. Sadly, we were due for a kind of gross head of lettuce. 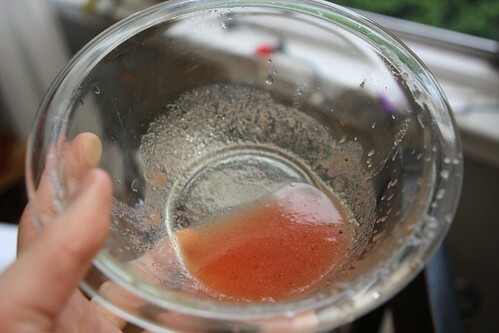 I had chopped, seasoned, and strained some tomatoes for the pizza tonight and I tossed the salad with the flavorful tomato juice which leeched out of the tomatoes. This would have been a lot better had the lettuce not been disgusting dirt lettuce. For the pizza we took a rare departure from our normal tomato-based pizza. 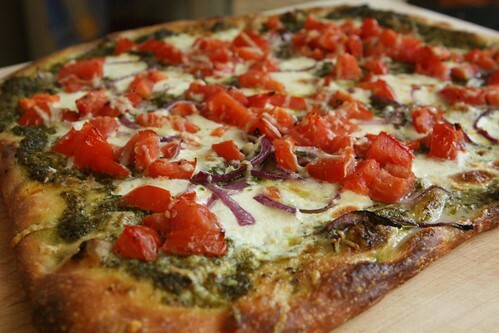 I made this pizza with pesto, drained tomato, red onion, mozzarella, and Bella Lodi. This was far tastier than the salad as it contained virtually no dirt! 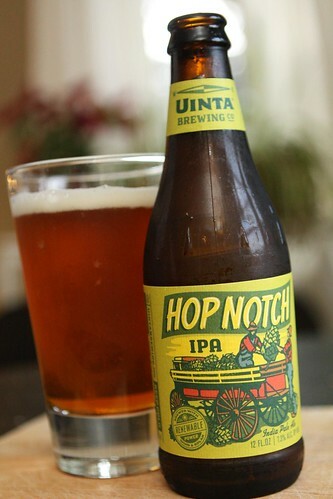 For beer I poured this Hop Notch IPA from Uinta Brewing in the great state of Utah. This was another really nice beer from Uinta. Much like their Wyld Pale Ale this had a very nice floral hoppy taste to it, though I think I liked the Wyld a bit better. This was a very nice beer but the Wyld was something extraordinary as far as I am concerned. Also, as far as I am concerned, "Ooooh, rock me, Amadeus!" Sit and Spin . . . and GRILL!